Regardless of your specific goal, one of the easiest and most common ways of tracking your progress is by weighing yourself regularly. Simple and obvious enough, right? But like anything else, there are still important questions that need to be answered. For example, how often should you weigh yourself? Daily? Weekly? Monthly? And when you figure that out, when is the best time to do it? Morning? Afternoon? Night? Your answers to these questions can result in some HUGE differences, so it’s important that you get them right and know all the facts. Let’s start with the most important fact of all. It shows if things are working. It shows if things are working at the ideal rate they should be. In addition to just knowing if your body weight is moving in the right direction for your goal, there’s also the issue of whether your body weight is moving at the ideal rate for your goal. You see, depending on your exact goal and a few other factors specific to you and your body, there is a certain rate of weight loss and weight gain that is considered optimal. So what’s the second best reason to weigh yourself regularly? To ensure that your body weight is changing at the speed it should be (not too slow, not too fast). “Weight” is more than just fat or muscle. “Weight” alone tells us nothing about the composition of that weight. The number on the scale only allows you to track your weight… not the composition of that weight. 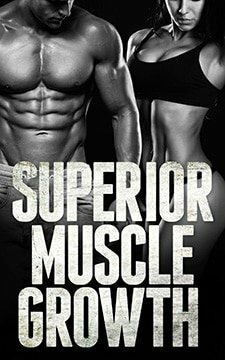 And since most of us want to lose fat (but not muscle) and gain muscle (but not fat), the composition of the weight we lose or gain is often more important than anything else. That’s why most people should do more than just weigh themselves to monitor progress. For example… use measurements, body fat percentage, pictures, mirror and so on. Most people think weighing yourself every day is the LEAST accurate way because of those normal daily weight fluctuations I mentioned before. In a way, this is true. But, if you make one small change to the way you do it, you’ll see that daily weigh-ins are actually the MOST accurate way to do it. If you weigh yourself every day and make decisions based on these day-to-day changes, then you’re being a complete dumbass. Because of all of that daily weight fluctuation stuff I keep talking about, this would be the worst way to do it. HOWEVER, if you weigh yourself every day and then take the AVERAGE at the end of the week (and base your decisions on THAT weekly number)… then you’ll have the most accurate figure you could possibly get. Doing it this way actually serves to eliminate the potential of daily weight fluctuations throwing things off. This is definitely my #1 recommendation for how often you should weigh yourself, at least among sane, level headed people who truly understand how body weight works. Unfortunately, some people don’t fit this description. In terms of accuracy, weighing yourself once per week isn’t perfect. It’s certainly not useless… but it’s just not as good as weighing yourself every day and taking the weekly average. I mean, think about it. I’ve just personally seen/heard about way too many people obsessing over their weight and making stupid decisions and changing their diet or workout as a result of letting daily weight fluctuations affect their judgement. Not to mention, the potential for this to lead to negative thoughts, depression and full blown eating disorders definitely exists. So how often should you weigh yourself? As usual, the true best answer is that it depends on you and the type of person you are. In terms of the most accurate way to do it, weighing yourself every day is the best option. It’s how I do it, and as long as you do it correctly (take the weekly average) and don’t let the daily fluctuations negatively affect you, then it’s how I’d recommend it be done. That’s why it’s the tracking approach I use in my Superior Fat Loss program. But if you are the type of person who will turn it into an unhealthy obsession and respond poorly to seeing typical day-to-day changes in your weight, then you should probably avoid this option. In terms of a combination of accuracy and sanity, weighing yourself once per week might be best for certain people. And for certain extreme cases that may warrant other extremes, weighing yourself just once a month may be the best way to do it. In all other cases however, I don’t recommend this option at all. It’s not unusual to see as much as a 5-10lb shift in weight at different times throughout the day, which is why: A) weighing yourself at random times “just to see” is completely pointless and potentially dangerous (it will just drive you crazy), and B) the dumbasses at the gym who weigh themselves before/during/after their workouts looking for signs of progress are F-ing hilarious! This sort of thing is also a common cause of what I like to call “false” weight loss plateaus. 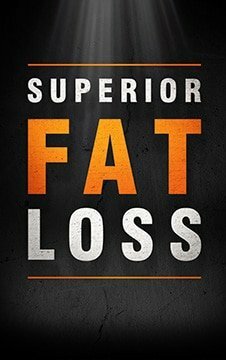 I actually wrote an entire chapter about this topic in Superior Fat Loss where I cover ALL of the causes of both true and false plateaus, why they happen, what causes them, and how to easily get back to making progress again in each scenario. Thanks for posting this. I definitely have felt frustration trying to monitor my weight on a daily basis. My research on the subject turned up a pretty useful mathematical process to use an exponentially smoothed rolling average. This seems to work really well, and I think gives more consistent feedback than just getting one averaged weight reading per week. Have you found pros/cons to this approach? Honestly, it was a bit too long for me to really read right now, but, just from looking at it and remembering what I can of quality of info behind The Hacker’s Diet from when I first read it probably 6-7 years ago… it’s most likely a fine/smart way to monitor your weight that, for the average person, will be completely unnecessary. Following on from the Hackers Diet, there is a great tool here which plot a graph for you to show the weight change trend. Completely agree!! Girls and scale not good combination. I know I have 6 kg too much, and I can see it in clothes I used to put on. When I manage to get into those clothes again, feeling great, full of energy, then that’s enough Weight scale for me. Done.! I’ve actually found the wii fit balance board a really good tool for tracking body weight. It graphs everything for you. You can look back over a time period and see your progress quite clearly. If you are obsessive you can overwrite any of your days weigh ins, ie you can weigh yourself as many times in a day as you like and after the first one you can choose to save any of the others as that days result. I never weigh myself Sundays and Mondays, Saturday is my off diet day. The wii also has some great exersices based around the balance board for developing core strength, is surprising that you can work up a sweat just by balancing. I have just begun a lifestyle change- not a diet! I weigh 236 pounds, and I feel that for me weighing twice a week is the way to go. If I only weigh once a month, it is too easy for me to get careless. If I weigh every day it is too easy to get depressed. For me this is a happy medium. Happy to hear it! Keep the updates coming. So for example if i’m trying to build muscle, and let’s say I started my workout Monday. I’d weigh myself that monday morning, and would weigh myself everyday, and would take the week’s average and compare it to that next monday weight Is that right? EDIT: Sorry, accidentally skipped over an important part of what you said before answering. What you’re describing here is wrong. You want to compare the week’s average weight against the next week’s average weight. The average is all you want to care about. I think he should compare against the next weekly average, not against Monday’s reading. You are correct… somehow missed that part of his comment the first time around. I’ve updated my original comment to reflect this. I am one of those ppl who weigh daily and I go crazy with the up and down numbers. I was feeling depressed and hopeless because one day I lost 2 lbs the next day I gained 3 lbs etc. I didn’t know if my deficit was large enough. Thank you for teaching me through this article how to take my weekly average and compare it the my next weeks average. Doing it this way I can definitely see a downward spiral on my weight loss. So I am certain my deficit is working and dont need to change a thing for now. Thank you once again. You’re welcome… glad it helped! Just noticed your edit Jay. So if i wanted to lose body fat, and started at 150 lbs on a Monday, and weighed myself everyday that week, and when i averaged all those numbers up Sunday and it was less than 150 lbs, then that means i was successful? Nope, you don’t want to pay attention to a single day (like you being 150lbs on Monday). You want to take the average for the week and compare it to the average of the next week. So you want to see the average of next week be slightly lower than the average of this week. Yup. Add up all 7 days and then divide the total by 7. This is great information–thank you, but read on… because this article pissed me off. I appreciate that you include the grey area of people who are made nervous by daily fluctuations in weight. That was thoughtful of you. SO, that’s why I **do not** understand why you got so hostile about people who weigh themselves at the gym. I don’t do this, but what other people do is not my business–and it isn’t yours either. And why call them dumbasses? You don’t know them. They are uninformed, not stupid. I thought the purpose of articles like yours was to inform the uninformed, not insult them. The hostility you throw around at the end of this article makes me wonder about your judgment, and wrecks the entire article for me. It also reinforces the idea that trainers just spend their free time judging the rest of us. Boo. Eh, I think maybe you just need to relax a little and learn to not take things so seriously and personally. It’s playful jokey language used to get a point across, not insult. You’re one of the very few people who take it the insulting way. Most people laugh and move on. In fact, if you look around this site long enough, you’ll see plenty of instances of me referring to myself as a dumbass for doing some of the stupid stuff I’ve done. Yes, quite normal for a variety of reasons… most typically water retention. Hell yeah Kathy! That really is the mindset you need. It really comes down to figuring out what needs to be done, and then just doing it no matter how hard it is or how long it takes. As for your question, yup… taking care of whatever bathroom activities are ready to take care of before weighing in is definitely the right thing to do. 235-232.57= lost 2.43lbs in two weeks, yes? Sry for the redunancy. I just super hate math & wanna make sure i got it right. Thx! I didn’t double check the math, but if your average weight from one week to the next is down 2.43lbs, then yes… you lost 2.43lbs during that time. I double checked the example i gave u & i saw i made a simple mistake. So i got the math wrong but i do understand HOW to get the avg. From 236 to 232 is 4 lbs. All your articles are like a breath of fresh air! Love it. Thank you! I have never heard of the average weigh-in…I think I am going to try it as well. This once a week thing is very depressing to me..wish me luck! Glad to hear it… good luck! Thank you so much for writing and posting this!! Great article, have been wondering this but never looked into it, you summed it up perfectly! I completely agree with averaging and comparing. Glancing at my weight the last three weeks at first looked like I was at a plateau. However, when I averaged my weekly weight I found I lost 1.7, 0, then 1.3. It gave me motivation where I might have lost it. I previously used to think if I went up from my lowest it was a gain. ….i can’t look at it that way. Thanks! I think this is probably a very stupid question but I can’t find the answer and I’m very new to working out, so I’m gonna act like stupid questions don’t exist and ask anyway. I’m attempting to lose weight for the purpose of some muscle showing (you know, the whole 6-pack thing), I run, do some general indoor exercises for the whole body + ofc abs, stretch, lift dumbells and try to eat right as well. But the thing I’m wondering is what is the more accurate representation of progress – the empty stomach look in the mirror in the mornings, or the full stomach look for most of the day? Again, I apologize if this is downright dumb but I really want to know what I should base my judgment on because my stomach looks completely different in the mornings (fit, slim) but then the rest of the day after eating there’s the small belly look. Which is a more accurate representation is really just a matter of opinion. But, for the purpose of monitoring progress (weighing in, measurements, pics), first thing in the morning is the ideal way to do it. People weighing themselves before and after a work out aren’t “dumbasses” you’ll probably find that they’re comparing their post workout and pre workout weight to calculate their water loss to make sure they’re replenishing properly. The thought that the average person in the average gym who weighs themselves before and after a workout is doing so strictly to make sure they’re properly replenishing water makes me literally laugh out loud. I work a couple of nights a week, should I weigh myself when I get in around 6am or when I wake up in the afternoon ? I’m converting to the idea of a 7-day running average, thanks! I’ve been weighing every day at the gym, but as you say, if there’s a daily fluctuation it gets into my head even though I know better. Also, sometimes I go to gym before lunch and sometimes after, and there are minor changes in my clothing, etc. So it’s time to bite the bullet and buy an accurate digital scale for my home. When I wake, resting heart rate. When I get out of bed, scale. Off to Amazon this minute. Just to fight off the mental weirdness that comes from fluctuating weight, I’ve taken to measuring all kinds of things, so there will always be a “good number” to give to my hindbrain to make it quit squawking–unless all the numbers are bad at once, which means I need to change something ASAP. I measure blood pressure, resting heart rate, and a variety of inches here and there. And of course mirror-shots, especially involving a particular pair of pants I can’t get into yet, so I can see slow progress getting the zipper up. Calories in, calories out. I’m a believer. I am amazed by people who think their scale is inaccurate because of their weigh in at the doctor’s office in the middle of the day with all their clothes on. I have had a love-hate relationship with the scale. When I know Im gaining it in an out of control manner I refuse to come within a mile of one. When I’ve gone on a weight loss journey I am infatuated with it. Right now I have just lost 20 pounds with 40 to go. I weigh myself every day. You’re welcome, glad this article was helpful! it is a question more than a comment… why is it that if i weigh myself and then go to the toilet and weigh myself again straight away, my weight remains the same as before? what happened to the weight i just got rid off? Your scale is most likely just not precise enough to measure that small of a change. OMG! I never comment on things like this, but I have to say thank you. This is the advice I needed! Thank you so much, I will definitely be taking your advice.. I personally like to weigh everyday to monitor my progress so that I can make changes if I need to. For example, more water, protein, or veggies. Or if I did great then I know I did a great job! However, taking the 7 average is what I will do. The crazy thing is school has taught me this with everything else but I never thought to do this with my weight loss. Hi, I love this article!!! Great way to dispel myths regarding weighing oneself and all that. I just have a question about when to weigh myself. You say that one should weigh themselves first thing in the morning. I happen to work graveyard shift and am trying to stick to intermittent fasting (starting at 1pm and eating until about 9pm). I’ve been weighing myself everyday as soon as I get off work (and have already fasted for 8-9 hours) and then again right before eating my first meal at 1pm, and hopefully after getting a little sleep, which doesn’t always happen. Do you think those weigh times work? I do notice I lose 2-3 lbs when I weigh myself at 1pm. P.S. I think I will pay more attention to the avg instead of obsessing over day-to-day fluctuations. Thanks for that tip as well! Replace the phrase “first thing in the morning” with “first thing upon waking up.” Whatever time of the day/night that happens to be for you, weigh yourself then. Yup, there is no better “diet product” than a food scale.